Do you have Comcast/Xfinity? If so, HUGE NEWS! 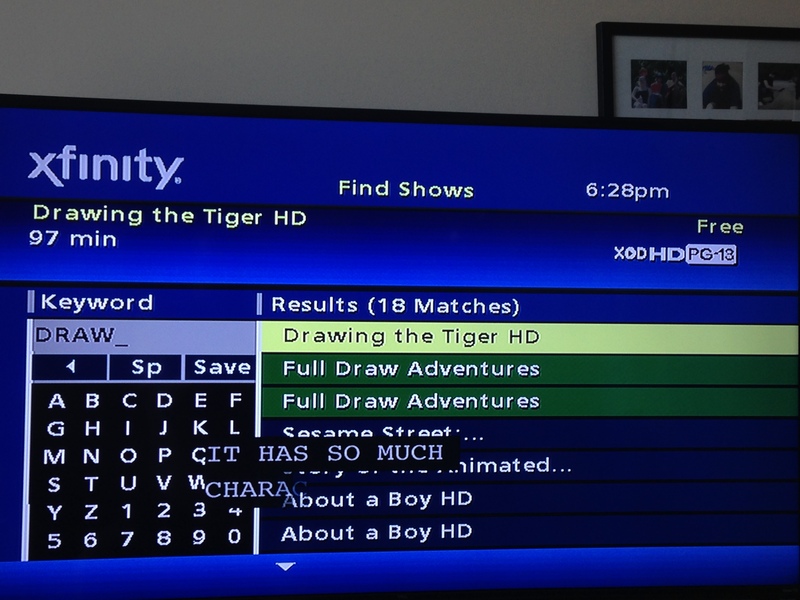 You can get Drawing the Tiger on demand. Click through below, or get it on your TV if you have a web subscription, by searching in “On Demand”. Only through the 29th of this month. Share the word! Thanks to our friends at Center for Asian American Media for getting us in that door. We do not have xfinity I don’t think. We have satellite internet on Marrowstone Island and can stream Netflix much of the time but I’m not the techie. I just wrote to Amy saying I would love to have a DVD of Drawing The Tiger to show our kids and friends. I can’t remember if it was Amy who said that would be OK.
Glenda! So sorry to have let this sit so long. We now, FINALLY, have some streaming options, and we’d love to share them. If you’d like to stream or download the film and have all proceeds go to support the family, please go here. A cheaper option for rental is here (does require registering for a free account with Pantaflix).